One of the things I love most about ‘home’ schooling is that we get to be out and about doing fun things in the middle of the day when no one else is around. Today we had a bowling alley to ourselves (a good job really as bowling with mini balls really didn’t suit me) and had a mucho splendido time practicing our sporty skills. 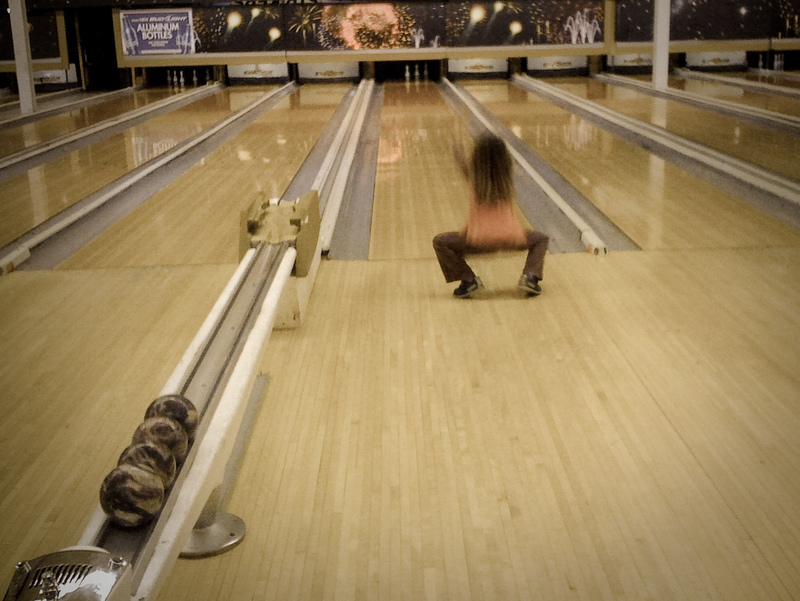 Bowling is a sport right? Of course it is. So today we filled our sport quota for the week, we also did a bit of socialising…is that the same as socialisation I wonder? Well we had a great time anyway. I tried not to despair over the fact that the only person who got a lower score than me hasn’t even reached his third birthday yet and thought that the point of the game was to get the ball in the gully. I was also able to model my losing gracefully face while my friend Steph (the other Mama) demonstrated her super human bowling abilities to the kids. Seriously I think she might have a robotic arm or something. So while the kids learned all about velocity, mass and….spheres and stuff, I snapped a few shots on my iphone and internally high fived myself for providing them with such great learning opportunities. This is Maths. 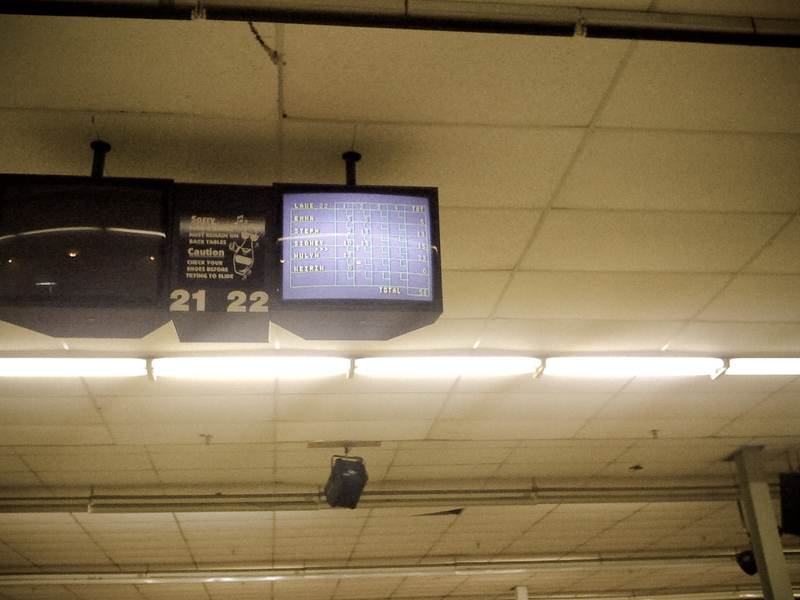 Who knew that bowling could be so educational! What a great day. Boy oh boy do I have some pictures for you. They are coming your way shortly! Thanks friend. Wow. There is some incredible form going on there! 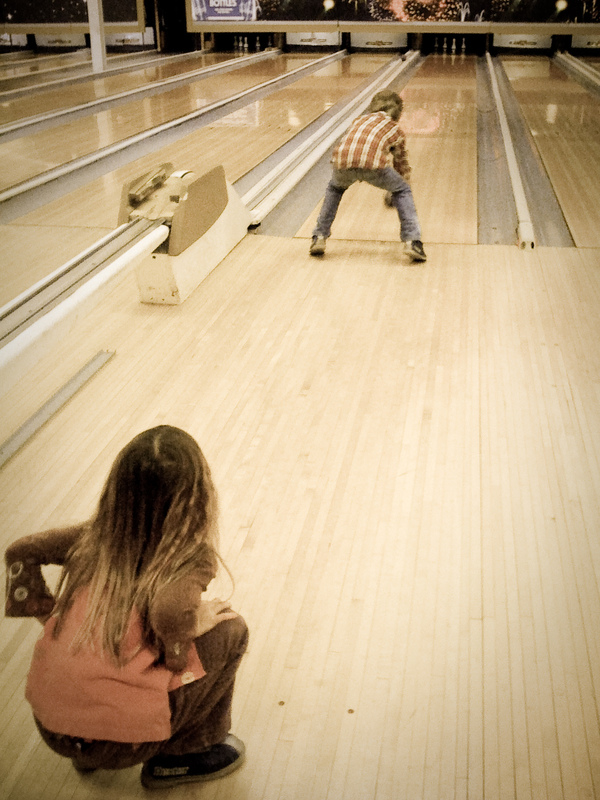 Last summer, we had a huge Beaucoup Bowling Day when my brother and niece were visiting from France. Best. Time. Ever. And, as someone who currently teaches in a post-secondary program, I can assure you that bowling is essential in a child’s education. 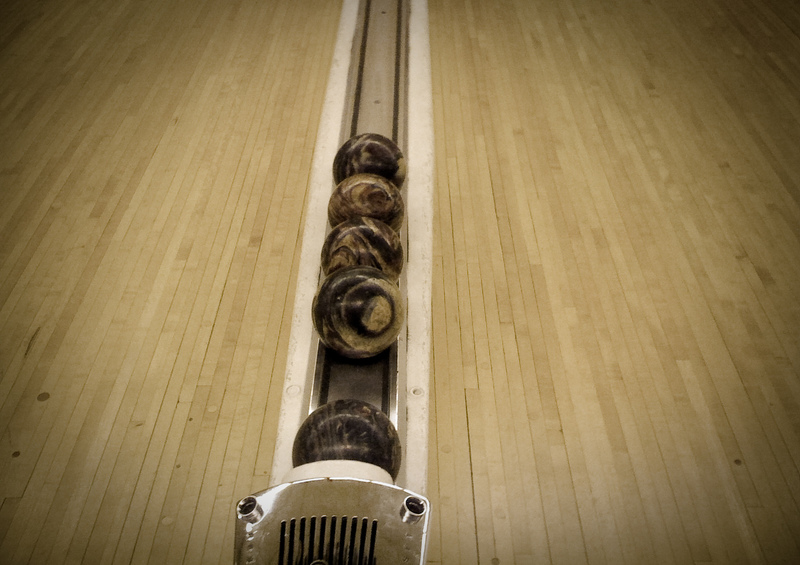 We’re thinking about adding a bowling section to our application form.